he Toronto Dingos’ 2018 season wrapped up this past weekend with the traditional Awards Night, held to celebrate the successes of the past year and honour those who made it happen. After a year away, the club returned to Le Marche Restaurant in downtown Toronto to host the classy event. And with almost 50 club members, alumni, wives, and girlfriends in attendance, it was a raucous evening! Organized by club VP Dave Wells, the evening featured an open menu in the market-style restaurant, allowing the attendees to wander, mingle, and choose their own meals in between award presentations. The entire night was kept moving through the adept MC skills of Irishman rugby-wannabe Eoghan Bergin. In fact, it was quite the evening for the Irish contingent of the Dingos. Not only did Eoghan smoothly run the event, but he handed out several awards to his fellow countrymen. Longtime Dingo Gary Conlon received the Coach’s award, John Curtin won Rookie of the Year and Steven Donnelly became the first Irish player to win the Stewart Award as a ‘Canadian’. 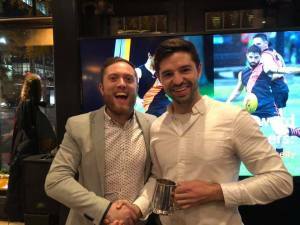 Ben Moller took home the Player’s Player Award but sadly, he is only an Australian. Longtime stalwart of the Dingos' midfield, Michael Ladd, won his first Stewart Award (Australian) after finishing second in 2017. Well done, Laddy! It was the largest awards night in many years and shows the strength and depth that the club has developed. 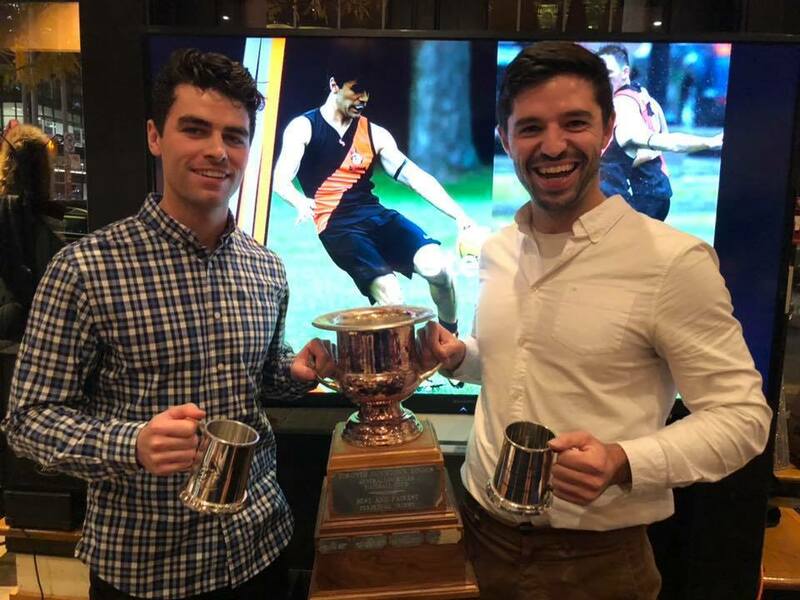 But along with toasting this year’s success, the club also honoured its past with the induction of two new members into the Dingos’ prestigious Life Membership club; Jacob Steinberg and Justin Robertson. Each of these gentlemen exhibited true dedication and selflessness in their time with the Red & Black and both spoke of their many years with the club and the many bonds formed with their teammates. They join only 14 other players in the 24-year history of the club to be named as Life Members. 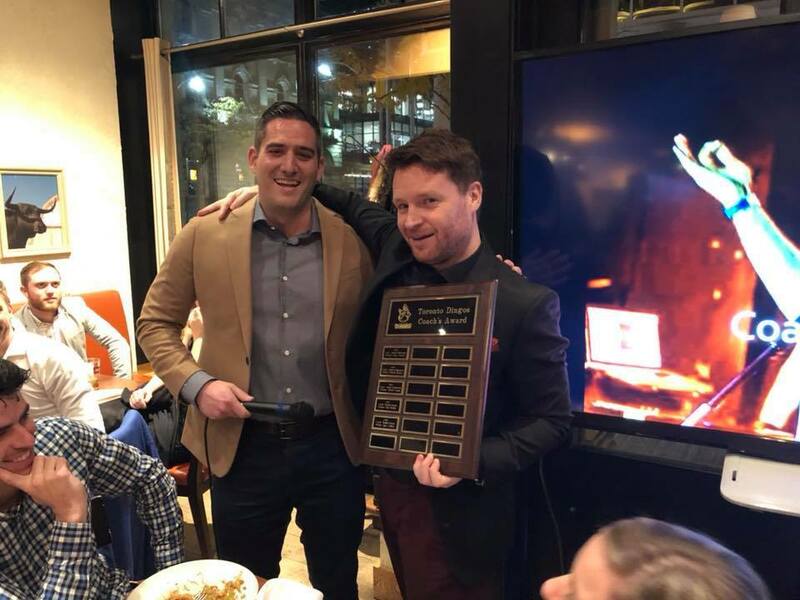 Overall, it was a fantastic night for the club and a great wrap on the 2018 season. Full list of award winners are below. C’arn the Dingos!